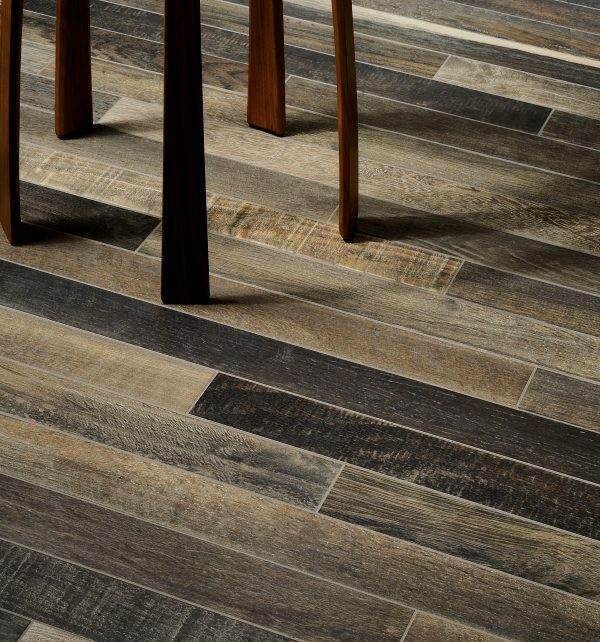 You can imagine these slightly industrial looking porcelain planks in a London warehouse apartment. The 61cm length allows for a number of patterns. 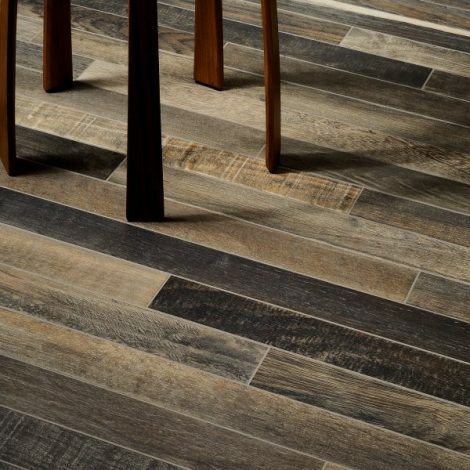 The range of colours and markings makes for an authentic look, but of course this is porcelain, so it offers outstanding value, is incredibly hard-wearing and has virtually zero maintenance.